It’s not every day that you get to be part of a truly revolutionary project, but I was lucky enough to be part of the team at World Tower Mid Rise Residences to deliver an amazing transformation and oversee the creation of a spectacular Sky Lobby. Standing at 230m tall, World Tower is the tallest residential building in Sydney. The 75 above-ground and 10 basement levels are divided into three sections, namely, Low Rise, Mid Rise and High Rise, all of which sits on top of the 25 million plus visitor per year World Square shopping complex that occupies the entire CBD block bounded by George, Liverpool, Pitt and Goulburn Street. Developed by billionaire Harry Triguboff’s Meriton Apartments and completed in 2004, Meriton continues to own and operate the High Rise section exclusively as a five star serviced apartment. Meaning, Mid Rise (Levels 38 – 59) is the highest residential section of World Tower that one can purchase or lease. Elected in 2013, I am part of the four person Mid Rise Owners Corporation Executive Committee. Early on, we had a clear and united vision that Mid Rise, inline with World Tower’s landmark status, should be one of the leading premier residences of Sydney. With this goal set in sight, we swung swiftly into action and engaged leading property managers Brookfield Global Integrated Solutions as building manager and embarked on a journey to upgrade resident services and common facilities, all the while, dealing with legacy issues, complicated legal matters and ensuring finances were kept in order. Housing the building management office and resident facilities including the gym, pool, sauna, spa and theatrette, Level 38 is the face of Mid Rise and unfortunately, it was simply poorly presented, underwhelming and unwelcoming. To reinforce our position as a premier residence, creating a strong and delightful first impression was essential. Change, though the only constant in life, can be difficult to execute in any environment, but it is particularly true when dealing with an Owners Corporation. Unlike in a corporate setting where the Board or CEO has authority to mandate change, the Executive Committee is only able to influence change. With multiple stakeholders involved and varying motivations, change, especially on a large scale, can be a nightmare. After countless meetings, hurdles, red tape, years of planning and a substantial investment of time and effort from the Committee, I am proud to say, with the professional assistance of fitout experts Renascent Australia, we delivered an astounding transformation. Contributing to the Owners Corporation is a serious commitment of personal time and effort and is often a thankless and demotivating task. However the personal satisfaction from realising a challenging vision, seeing the positive results and having had the opportunity to work with a truly amazing team makes it all worthwhile. 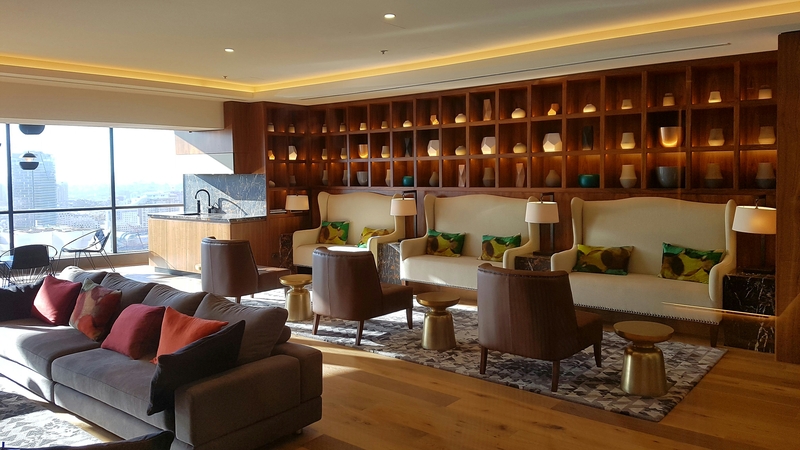 From a lifeless common space, Level 38 is now a welcoming and immaculately presented Sky Lobby with integrated facilities comparable to any premium apartment buildings or five star hotels. This transformation not only futureproof, but no doubt reaffirms World Tower Mid Rise Residences as a first class and highly desirable address for owner-occupiers, owner-investors and tenants alike. Beautiful vertical garden takes centre stage as you step out onto the Sky Lobby on Level 38, accompanied by a warm welcome from our 24/7 onsite building management or security team. A large open resident lounge overlooking Darling Harbour with plenty of space to mingle or host a private function. Another enclosed function area or games room with a 2-in-1 table tennis and pool table. 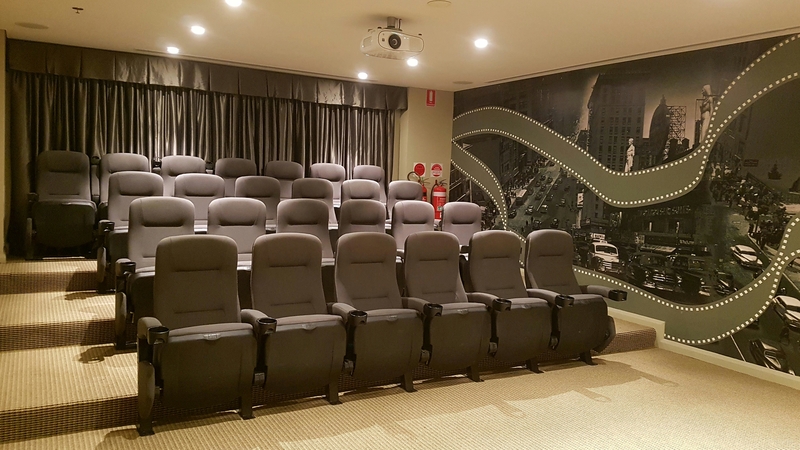 Refreshed 25-seat private theatre updated with latest screening technology and sound. Well equipped gym open 24/7 for residents’ use. Large heated indoor swimming pool, sauna and spa with 270 degree city views.